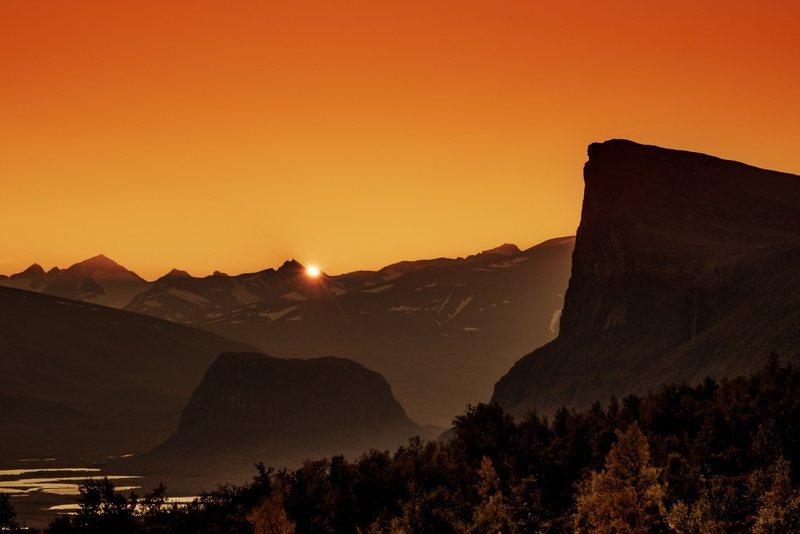 Sunset in Sarek national park, Sweden. There was definetely something in the air that evening. The sky was crystal clear and we were really lucky to see a great sunset because Sarek is known for bad weather and sometimes whole valley is full of mist and therefore visibility is close to zero. The cliff on the right is sacred site to local indigenous Sami people. Tip: When going hiking or trekking in mountains always take tiny bottle of sunscreen with you. We didn’t. And burned.